It's not in his character to blindly follow trends; A$AP Rocky has always been a tastemaker with an eclectic palette, and with his third studio album, Testing, he isn't catering to the ears of current hip-hop fans. Rocky is making music outside of the confines of rap while simultaneously pushing boundaries within it. 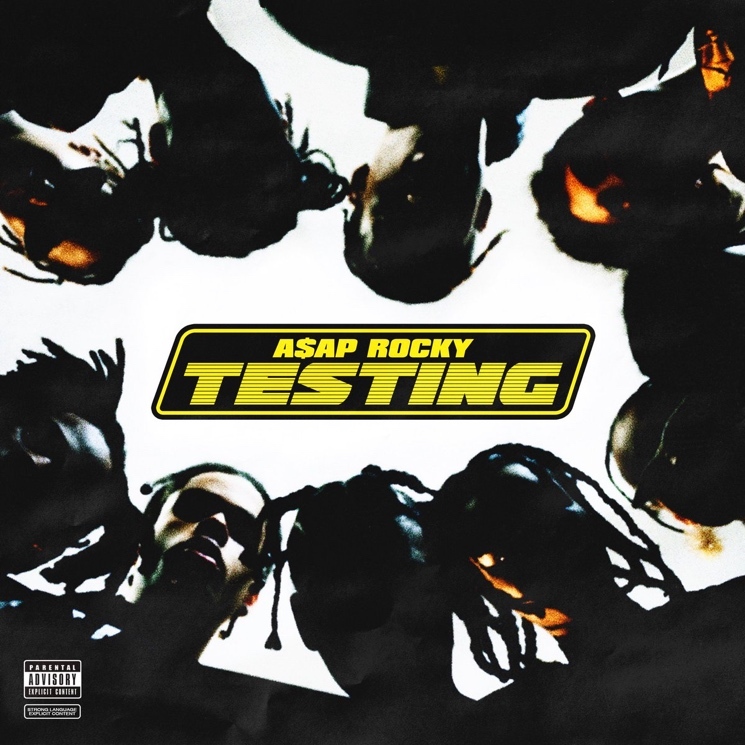 One thing remains the same — it's easy to distinguish Testing as an A$AP album, in that it is riddled with Harlem pride, designer name drops, Yams tributes and the same cocky swag you would expect from a Flacko project. "If I'm in your top ten, mines better be the first name" he spits over the blown-out beat of the opening track "Distorted Records." Don't say he's switched up though; Rocky's always been this unapologetically self-assured. T.I. intros Testing's lead single "A$AP Forever," clashing with the track's airy Moby-sampled beat while Kid Cudi jumps in and ties the track together with his melancholy melody. The piano keys from Moby's "Porcelain" close the track, juxtaposing the lyrically tough posse anthem with a more heavenly vibe. It works, but just barely. A$AP Rocky serves an assorted platter of features. From heavyweight veterans like Puff Daddy and Juicy J, to AWGE protégés like Playboi Carti and Smooky Margielaa, Testing brings a variety of flavours to the table. "My touch is righteous, like virus my Midas. I'm golden" — FKA Twigs echoes Rocky's confidence with godly lyrics on the moody "Fukk Sleep." Kodak Black touches the psych-acoustic "Calldrops" from behind bars, with an over-the-phone feature that is off-beat and hard to follow, while the Skepta-assisted "Praise the Lord (Da Shine)" is worthy of a few gun fingers. The flute-infused beat is layered with effortless bar-heavy lyrics and a hint of grime, making it one of the stronger tracks on the project. Locking in a feature from Frank Ocean is possibly the most impressive thing Testing has to offer. "Purity" is the album's vibed-out closer and is as lovely as you would expect from a Frank Ocean song. Rocky complements it with undone introspective lyrics over a beat that samples Lauyrn Hill's "I Gotta Find Peace of Mind."